Translating the UN's 17 goals to transform our world into action. All 193 Member States of the United Nations have adopted a plan for fighting inequality and injustice, and protecting the planet. At the heart of the “Agenda 2030” are 17 Sustainable Development Goals (SDGs) that address the world’s most important economic, social, environmental and governance challenges. Successful implementation of the SDGs will require all players from all sectors to champion this agenda. Private sector action will be key to the success of each goal – through responsible business operations, new business models, investment, innovation and technology, and collaboration. Real estate is an often-overlooked element of a company’s responsible business agenda, but with our sector impacting – either directly or indirectly - most of the SDGs and with its cross-sectoral reach it can be a powerful driver for making the SDGs a reality. For companies in the sector, successful implementation of the SDGs will strengthen the enabling environment for doing business and building markets around the world because even the most principled and best-managed companies are challenged to thrive in communities marked by instability, to find skilled labour where adequate education is lacking, or to withstand natural disasters stemming from climate change. 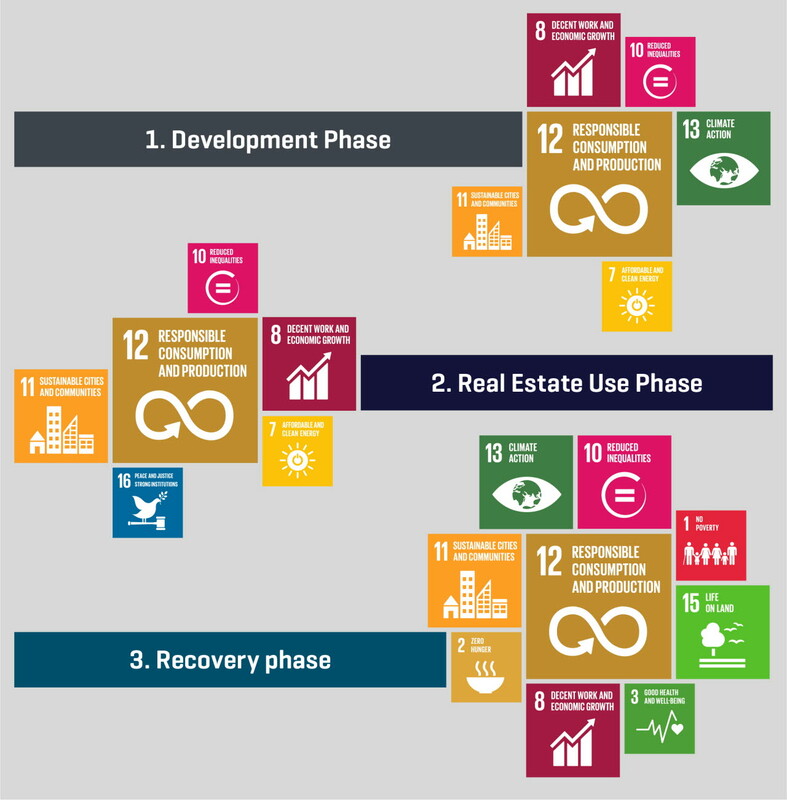 RICS has been working with the United Nations Global Compact on identifying the most critical issues facing companies with a stake in land, real estate and construction in relation to the SDGs. The aim is to make the implementation of the SDGs business as usual and to encourage companies to think holistically about the environmental and social impact of their business activities, and strategic investment decisions. Our Sustainability Report for the 2016-2018 reporting period underlines our continued commitment to the Ten Principles of the UN Global Compact, and showcases how we are fostering the implementation of the UN Sustainable Development Goals (SDGs) through the development and adoption of standards, cutting-edge research, capacity building projects and community action.